How can he resist? Easy, he's Robert Taylor. He just continues to adopt his persona as a handsomely carved block of wood and goes on. The gang then decides to take the usual next step. There's a big game fishing sequence that turns deadly that is well done--in spite of stock footage, rear projection, and a studio tank, it's actually quite suspenseful. Then it's time for the gang to close ranks; which means, taking care of the weak links. 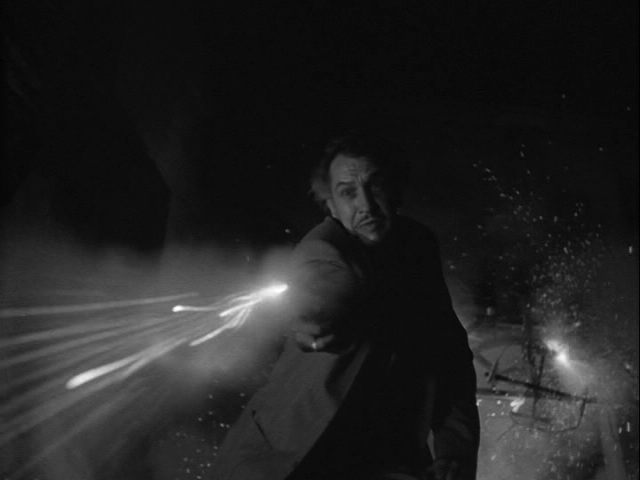 The mastermind, Vincent Price, plays an uncharacteristically hands-on villain in this one. "But you know, the pity is, when I'm paid, I always see the job through." This takes us to the final set piece, which is climatically climactic. "I see your fireworks, and raise you." I'll have to try my disc again in my new Blu-ray player. I think the freezing I experienced was in my old Sherwood, which wasn't reliable. Let us know how it goes ;-). Yeah, it worked fine last night in my LG. And for an Warner Archive disc, I've really no complaints about the image. 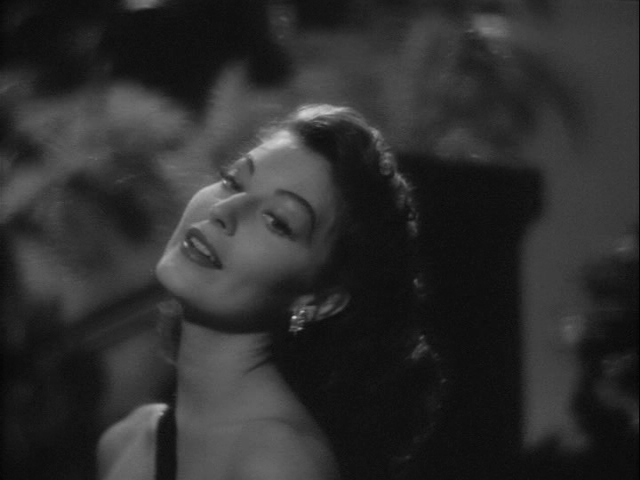 Sampling scenes, I came across the song sung by Ava Gardner's character (voiced by Who Knows?) called "Situation Wanted"--really a nice tune. I suppose it owes something to "Begin The Beguine" and may be one of millions like it, but I enjoyed it enough to sit through it twice. This is the kind of song Godley & Creme would send up so well 30 years later. Charles Laughton is really good in this! I'm thinking maybe I should raise my score to an "8". . . .
Just saw this one on TCM; I agree with the 7/10 rating. And I see CJ gave this movie the same rating in the RTLMYS thread, so we're 7/10 all around. 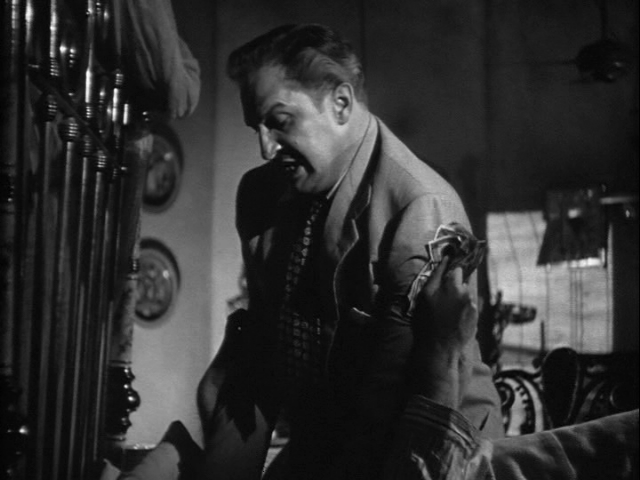 As for the movie, Charles Laughton is really good here. Robert Taylor is his usual self, always solid never spectacular. Was this whole movie made on the MGM backlot? If so, that's an amazing job by the set designers; I definitely thought they went down south for at least a few scenes. And they definitely got some authentic Latin Americans, rather than white boys with mud on their face saying "Ola Senor"
Was this whole movie made on the MGM backlot? If so, that's an amazing job by the set designers; I definitely thought they went down south for at least a few scenes. My guess is that they didn't go any further south than Catalina. You did the merge wrong. One version had all my screen caps, the other had most but not all. You put the one in with the missing caps. 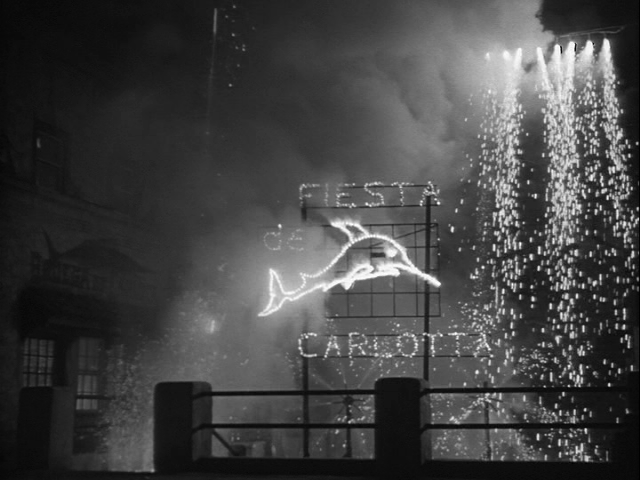 Laughton's best performance ever (maybe in The Bounty was as good, but it's ages since saw it)?